PHILADELPHIA – A federal judge has dismissed a lawsuit filed by a woman who claimed she suffered knee injuries in a fall at a King of Prussia Target store. Judge Gerald J. Pappert ruled to dismiss a suit brought by Pamela Carter-Butler of Pottstown against Target Corporation, for injuries she claimed to have suffered after falling over an allegedly unsecured clothing rack on Aug. 23, 2014. The incident was captured on the store’s surveillance video and according to Pappert, contradicted Carter-Butler’s account of the events in question. Pappert said Carter-Butler’s testimony that she did not see any debris or clutter on the floor where she tripped was “of greater relevance.” She also stated that the area was well-lit and that nothing about the displays in the store caused her concern – an account backed up by Target store personnel who reviewed the surveillance video. In the fall, Carter-Butler suffered torn cartilage (which she says required arthroscopic surgery), inflamed joint linings and loose pieces of the joint. Carter-Butler filed her negligence complaint in July based on a premises liability theory, and Target filed a response motion for summary judgment in January. 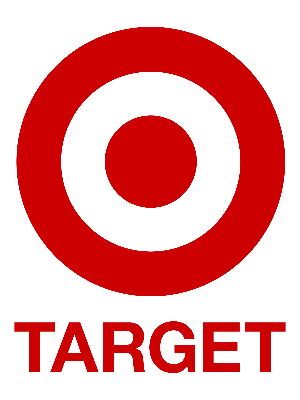 It became Carter-Butler’s burden of proof to show that Target had a duty for her to use the store safely, Target breached that duty, a connection between the alleged breach and her injury and actual damages, in addition to showing evidence of a hazardous or dangerous condition. Pappert believed Carter-Butler failed to meet this evidentiary burden of proof. After reviewing the surveillance video, Pappert labeled the area around the clothing rack as “free of debris and well-lit,' and said Carter-Butler stood by the clothing rack and took clothes off of it for two minutes and twenty four seconds before she tripped. Pappert concluded by dismissing Carter-Butler’s complaint through granting Target’s motion for summary judgment. The plaintiff is represented by Jason E. Fine of J. Fine Law Group, in Philadelphia. The defendant is represented by Francis J. Grey Jr. and Sean L. Corgan of Ricci Tyrrell Johnson & Grey, also in Philadelphia.